Two of Adventure Time’s big utility players (Steve Little wasn’t around, yet), Maria Bamford and Tom Kenny showed up this morning to record the half-hour finale of season two. Maria’s voices include Manfried, Dr Ice Cream, Trudy & Kim, the Duchess of Nuts, the angel in “Dungeon,” and Lumpy Space Mom. 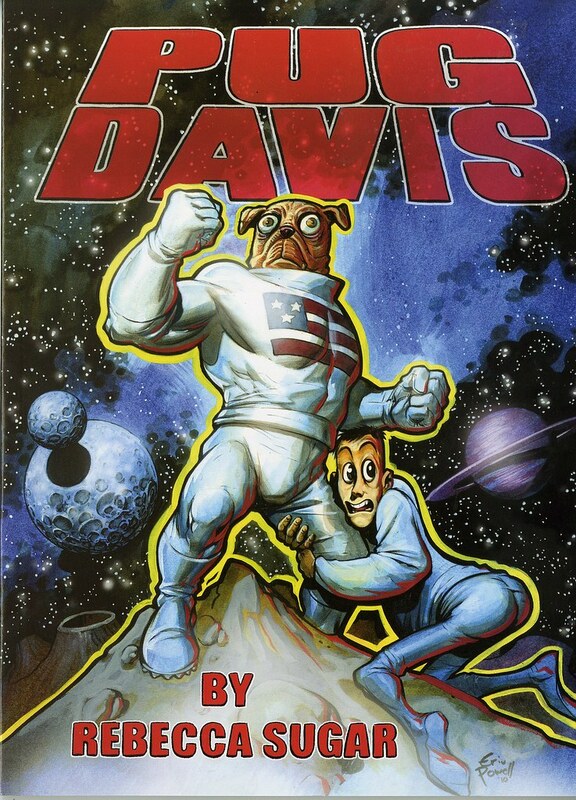 Besides the Ice King, Tom handles Gunther, Lumpy Space Dad, Starchie, and MAGIC MAAAN! 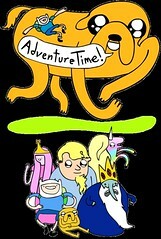 Hope everyone enjoyed the SEASON 2 premiere of Adventure Time last night! 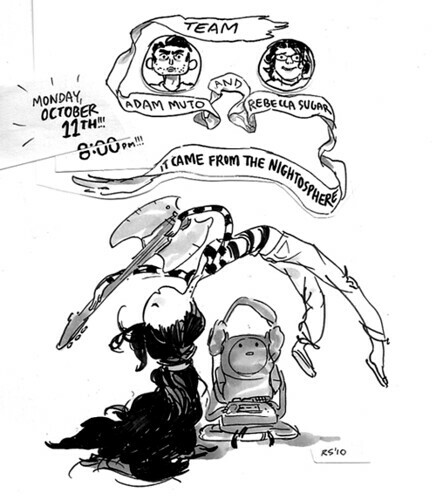 “NightOsphere” is definitely one of my favorites, especially that Marceline song (written by storyboard artist, comic artist, & animator Rebecca Sugar). Would you be interested in listening to Rebecca’s original version of the song? Click on the image above to listen & download! 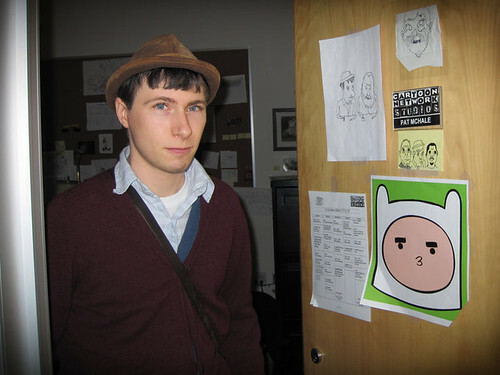 On another note, I apologize for the delays, but more “From The Trenches of Adventure Time” coming very soon! I wanted to do a drawing for the first episode I boarded on, It came from the Nightosphere! I wrote a song for this episode, Marceline sings it at the beginning while Finn beatboxes. When Pen pitched this storyboard to CN, he beatboxed as Finn and I played the music on a uke and sang as Marceline. It was super terrifying, my first network pitch. I also did all the monster stuff at the end! Adam Muto did all the meat in the middle! 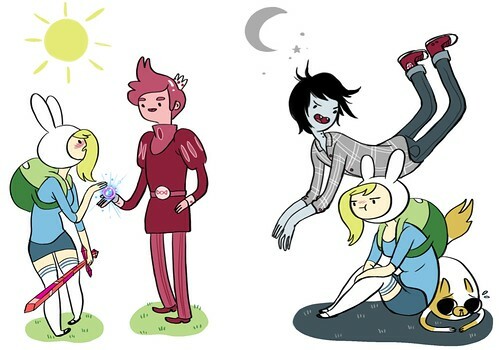 More art from Adventure Time character designer Natasha Allegri’s stab at the series if Finn & Jake were girls, starring Fiona, Cake, Prince Blowpop, and Marshal Lee. See Natasha’s earlier take right here. 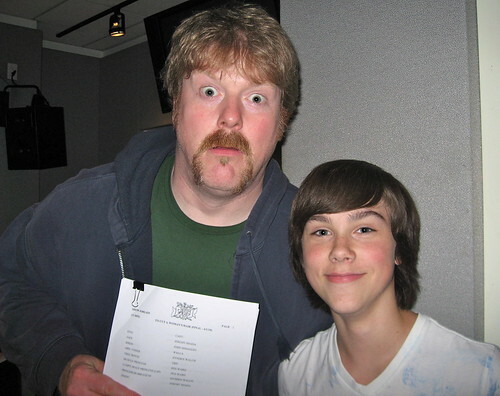 John Di Maggio and Jeremy Shada at an Adventure Time recording session, June 1, 2010. The reaction to posting Casey James Basichis’s score to the Jiggler a couple of weeks back was such a hit, Casey went ahead and put together an eight minute video of his inspiration and work behind composing the “Ricardio the Heart Guy” track. You can watch that above. In addition, by clicking here, you’ll get to listen to the episode’s whole score. 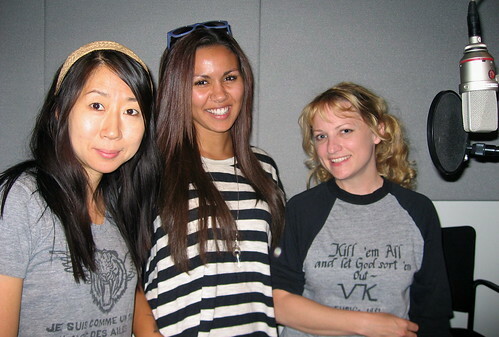 A special nod goes to “opera singer extraordinaire” Karen Vuong. 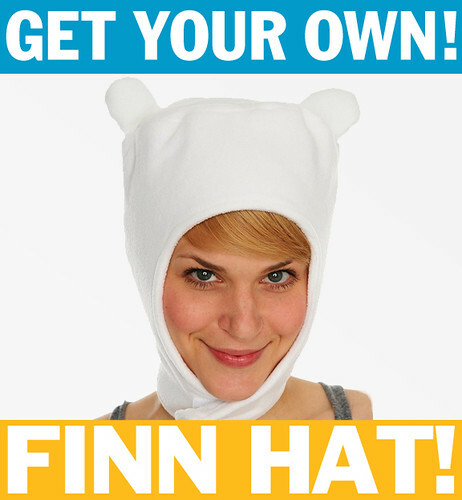 Her soprano voice pops up in a bunch of episodes, making the music on Adventure Time that much more distinctive. Also, a big thanks to Sonopod, who mastered this episode for your downloading pleasure.